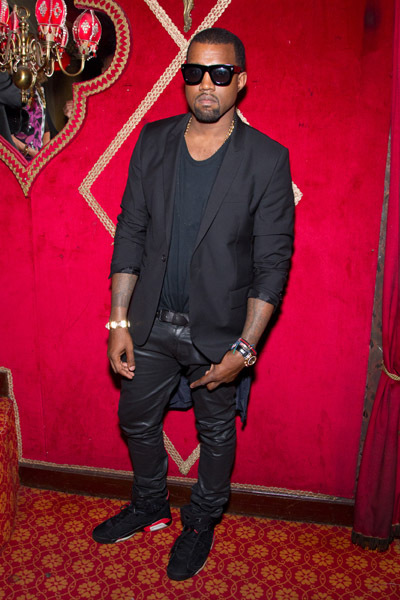 Kanye West attended the Irreverent Dinner hosted by Carine Roitfeld at Cabaret Raspoutine during Paris Fashion Week. He kept it clean and simple and took his "blacks on blacks on blacks" line from the song "Gotta Have It" literally (which is one of my (Whitney W) favorite tracks from Watch the Throne). 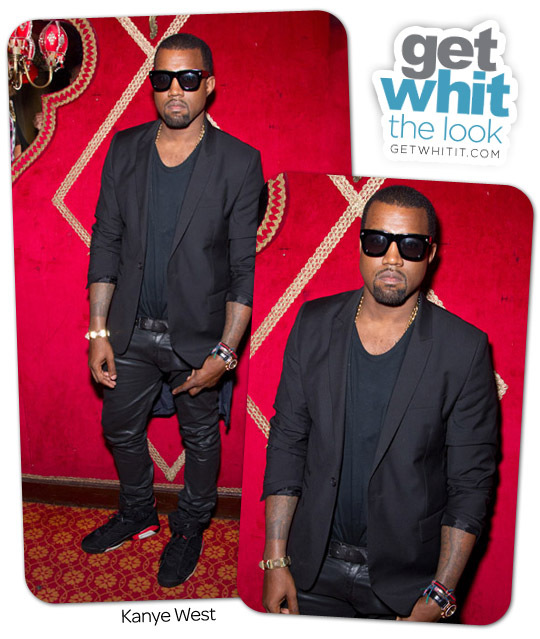 He wore a blazer over a tee with shiny jeans, Air Jordan 6 Retro sneakers and dark shades. 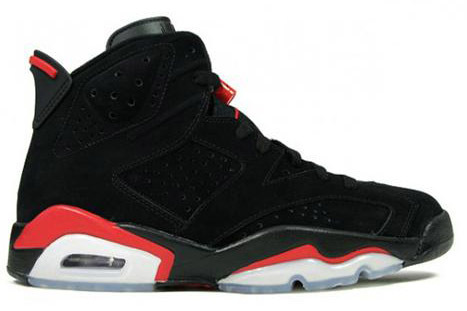 The sneakers are rare but you may be able to grab a pair online somewhere.